It’s turned into something of a summertime ritual: decoding the college bill. Colleges and universities across the country sent out their invoices in recent weeks for the upcoming school year. Beyond traditional tuition, room, and meal costs itemized in the statements, institutions have tacked on a dizzying array of fees over the years, adding thousands of dollars to the cost of earning a degree and often leaving students and their families confused about why the final tab is higher than they expected. The pile-on can be overwhelming: There’s the athletic center fee and the mentoring fee, a capital projects fee and a library fee. And, oh, don’t forget about the technology fee. Fees help colleges shore up their budgets, pay for in-demand amenities such as state-of-the-art gyms, and spread out costs more fairly, by charging extra to students who use certain services or equipment. 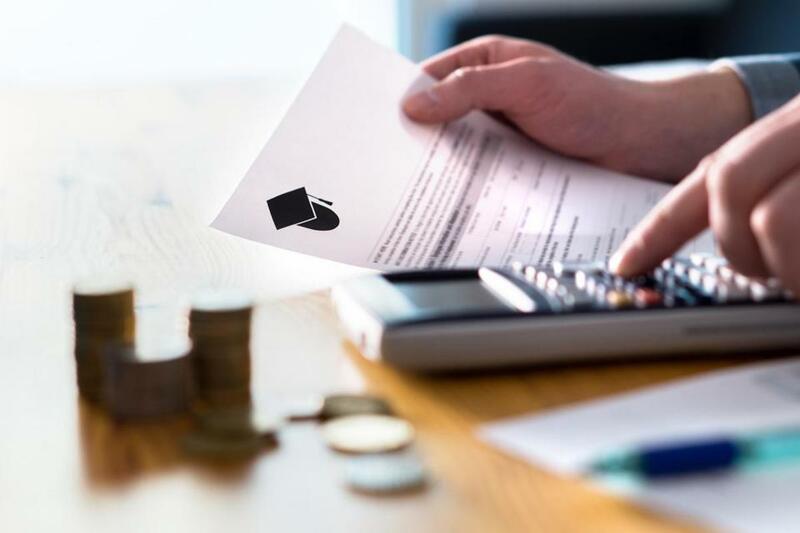 But the ultimate result is that even families who have done their homework before their children commit to colleges can find surprises lurking among the line-item charges, said Shannon Vasconcelos, director of college finance at College Coach, a Watertown advising firm. In some cases, savvy families can get a fee or two waived — but many of them are mandatory. Some fees kick in even before the first class begins (mandatory two- or three-day orientations that can cost more than $500) and don’t ease until students collect their diplomas (graduation fees to cover the costs of the rental facility, cap and gown, and printing costs, from $25 and to more than $200). At New England College, a small, rural school in New Hampshire, students who need more one-on-one mentoring can pay $4,600 a year extra. BU officials say that students can opt out of the Sports Pass once they get their bills. New England College officials said the mentoring program is an optional service that has about 80 students enrolled and that helps increase the retention rate of participants. Some fees are universal, such as for health insurance (yearly premiums can cost as much as $3,000) while others are more obscure and tied to a particular college (students at the University of Northern Colorado voted a few years ago for a mandatory LEAF fee — for Leadership for Environmental Action Fund — of $20 annually to support environmentally sustainable projects). Consumers may think of fees as add-ons, but at many institutions they support fairly basic needs. Fitchburg State University charges undergraduates a capital projects fee of $1,470 annually that helps pay for new buildings and campus structural improvements, including dining halls and athletic fields. And some financial aid programs, such as tuition-specific scholarships, don’t cover these fees, forcing students to pay for them out-of-pocket or through loans. “If you have 10 or 20 fees, all of sudden you feel like you’re opening your telephone bill,” said Robert Kelchen, an assistant professor at Seton Hall University who has studied student fees. From 2000 to 2017, fees at public universities increased by more than 100 percent, while tuition increased by 80 percent, Kelchen found. Fees now make up about 21 percent of what colleges collect in tuition and fees annually, he said. Why this increasing reliance on fees? At public colleges and universities, decreasing taxpayer support and a reluctance to draw controversy by raising tuition have turned fees into a crucial financial spigot, Kelchen said. In Massachusetts, tuition at state and community colleges has remained flat for nearly a decade, while fees have skyrocketed. That’s why at Fitchburg State the annual cost of tuition is $970, but the university fee, which covers administrative, facilities, and academic expenses is $7,500. The total cost to attend Fitchburg State for Massachusetts residents is about $21,300, still lower than at many private colleges. Also, most Massachusetts public higher education institutions are allowed to keep their fee revenue on campus, while they must turn tuition money over to the state, providing another incentive to leave tuition untouched but raise fees. According to state higher education officials, the governor’s budget has called for a study on whether seven state universities and 15 community colleges should be able to keep tuition money, but the proposal failed to win legislative support the past two years. Private colleges may face less political pressure to keep tuition flat, but they aren’t immune from fee creep, as they try to lure students with lower tuition. That’s what Bruce Brumberg of Newton was doing when he saw that the bill Cornell University had sent for his son included about $2,800 for health insurance. Colleges require students to have health insurance that covers medical care at facilities near the campus, so most will automatically bill students and expect them to fill out forms to opt out. His son is covered under the family’s plan, and Brumberg didn’t want the college plan, but it took him several attempts last month and additional paperwork from his own insurance company before the university waived the fee, he said. Costs such as health insurance aren’t always broken out on the traditional admissions pages that students and parents check when researching institutions, Brumberg said. “There have to be better forms of communication, so at least parents who are looking at college costs are aware of it,” he said. It can be an even greater challenge for first-generation students who are navigating the college process for the first time, and often on their own, said Thalia Pena, a college affordability adviser with uAspire, a Boston-based organization that works with low-income students. Many are receiving a flood of e-mails and paperwork from colleges over the summer, and unless the documents are clearly marked, the fees can be easily overlooked, Pena said. She recently worked with a student who didn’t realize until the end of her first year that she could waive the more than $1,000 cost of the college’s health insurance because she was already covered under her family’s plan, Pena said. About 10 percent of undergraduate students report buying the university’s health insurance, according to a 2017 survey by the American College Health Association, a trade group. If students or families don’t understand why they’re being charged a certain fee, it is worth asking the college’s finance office and checking if it can be waived, said Vasconcelos, with College Coach. But Vasconcelos warns that it’s unlikely colleges will scrap many fees.